The statistic shows data on the average number of magazine issues read per person in the United States in 2015 and 2018, by format. 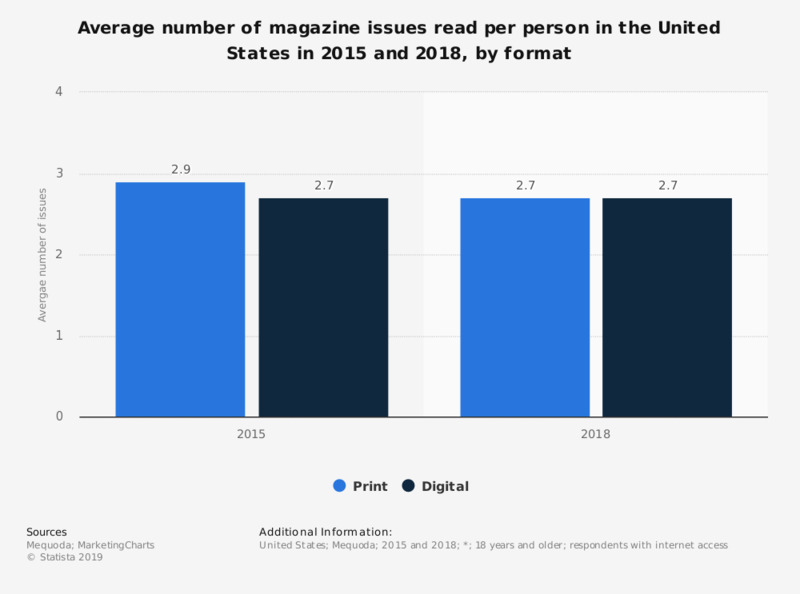 During the 2018 survey, it was discovered that U.S. respondents read an average of 2.7 print magazine issues, and the same number of digital magazines. How, if at all, do your magazine-reading habits change when on summer vacation?